Hello all, it’s been a bit since I’ve written anything for the site. I’m still playing games, listening to music, reading books and watching film, just find less time to write, particularly as writing is a good portion of my day job, However I did recently produce a little bit of artwork for the Nvidia GeforceT-shirt Contest. The prizes jumped out at me right away, as I’ve been reading some benchmarks for the new GTX 690, the top dog of graphics solutions for gaming. It costs a pretty penny at around $1,000. 3rd prize is a 680, 2nd prize a GTX 690 and 1st a custom-built Origin PC computer featuring the GTX 690 with some awesome surround specs. 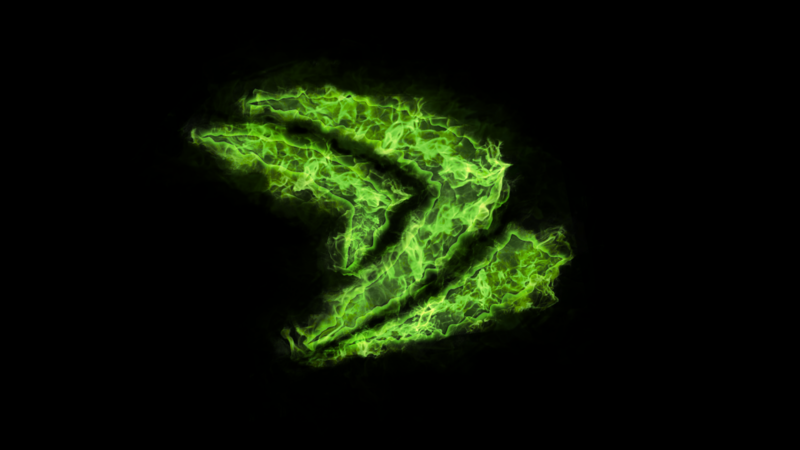 I was pretty sure I wanted to dust off the old graphic design skills and put that college degree to a little work in an attempt to score a 690 for myself, so I set out to enter the Nvidia Geforce T-shirt Contest. My issue with design is always the initial phase, coming up concepts for storylines and mechanics was always easy, but the initial visual look was something I struggled with. That night I watched the next episode of the second season of HBO’s Game of Thrones on the popular George R.R. Marin Song of Ice and Fire series. This episode happened to be the Battle of Blackwater feature the series, up to this point, most stunning CGI feat, Wildfire. Immediately I knew what I wanted to do. 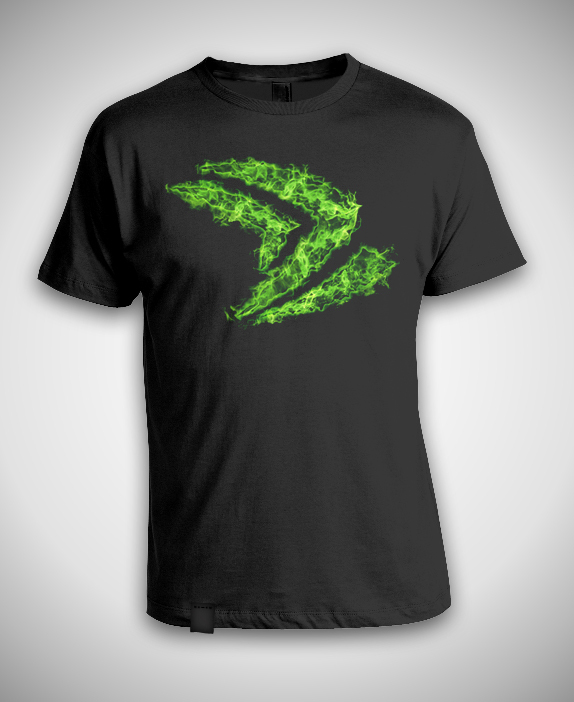 My two concepts were a blackened silhouette of the Nvidia “Claw” logo coming out of a Wildfire-style explosion or to actually set the Logo itself on fire. Once it became apparent that green-fire logo was the way to go I slammed through the base idea quickly and spent roughly 1 1/2 to 2 hours tweaking the design to final. I then crossed my fingers and hit the submit. Based on information from the Nvidia Facebook page, more than 3400 entries were received with only 20 (turned out to be 25) to be selected for final voting. I was pleasantly surprised to find my entry at the final voting stage. 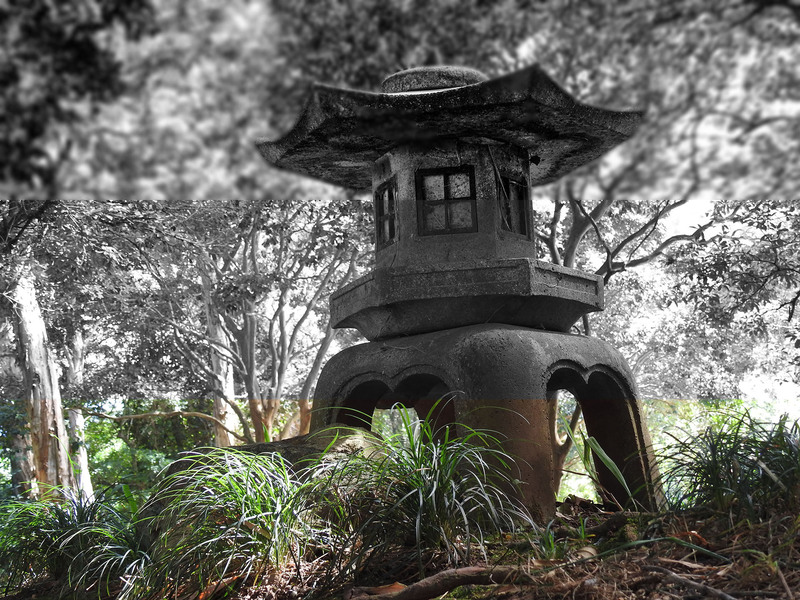 If I don’t get selected or if I do and receive permission I may break down some of the layers of the composition. Thrones fans or anyone that enjoys the image send me a vote, or check out the others at the Nvidia Geforce T-shirt Contest Voting Page. Also check out my Buddy Sam’s Diablo 3 styled concept at Sam Miller Art. He didn’t enter his, though I think it would have done well. “We received over 3400 entries and our selection process was not random. There were many designs that were super cool and either violated copyright or didn’t really bring the brand to the front of the design. So we couldn’t use those entries. Also many designs used logos other than the claw which is a disqualification. We know that people who entered are attached to their designs and we are sorry that not everyone could be a finalist. Thank you so much for your participation and make sure to vote for your favorite design.